Who are we, anyway: Just normal people, going about our day, making waffles from a mix we bought at the story like a number of other, boring humans, wandering around blissfully unaware that the waffle industry may apparently be steeped in drama and intrigue. Why else then would Brandon Lee Nelson from Peachtree City, Georgia, steal 150 pounds of waffle mix and set up his own black market for it? Peachtree City police spokesperson Lt. Odilia Bergh told the Atlanta Journal Constitution that Nelson had a “stream of buyers that would contact him for the waffle mix and he would provide it when contacted… He is the seller of waffle mix.” The police say that Nelson took five boxes of Golden Malted mix from a storage shed belonging to his former employer just last month, then set up shop. Nelson is currently out on bond, and his court date awaits. As with so many crimes, we law-abiding citizens have questions. Actually, they all devolve to basically “What?”, “Why?”, and “How?” Nelson must have known about the waffle mix stash, but why did he think it was such a money-making opportunity? 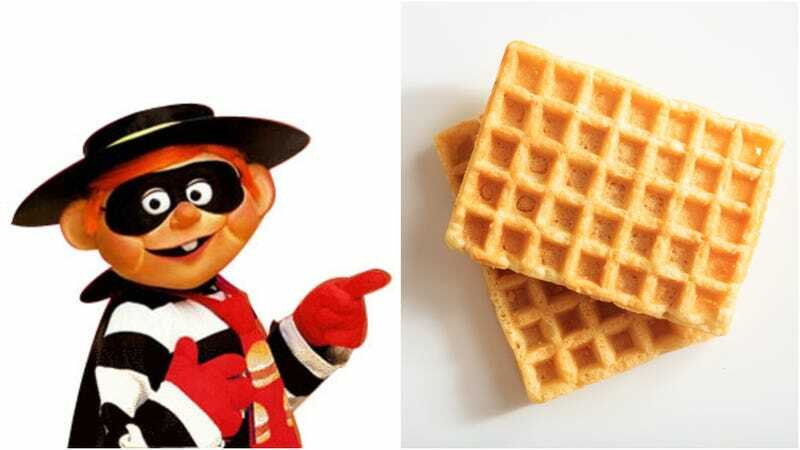 How did he find people to peddle stolen waffle mix to? Where did he store the 150 pounds of waffle mix? How much money did he make? We suppose it was a sort of crime of opportunity, but it also indicates why we will never be criminal masterminds: failure to think outside the (waffle mix) box.